Every NHL team will be busy this summer but there are rumblings the Edmonton Oilers are close to set on a few items. Four very major pieces are on the team’s immediate agenda and deals might be imminent, perhaps announced later in the summer. Darren Dreger and Bob McKenzie of TSN are reporting that Oilers general manager Peter Chiarelli is looking to make a dual announcement sooner than later on the extensions of Edmonton’s two key forwards. Only Leon Draisaitl requires a new contract this summer, but it benefits the Edmonton Oilers to get both deals done at the same time. 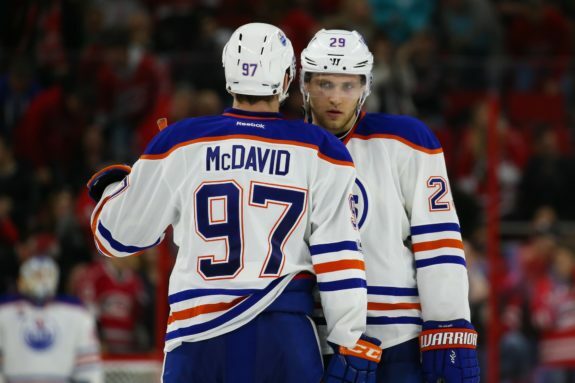 First, if the Oilers organization is hoping that they can convince Connor McDavid to take a hometown discount, McDavid’s camp will want to know that Draisaitl’s camp is doing the same. Any money McDavid might save the team is likely money he wants to have spent to add pieces around him. Draisaitl is already going to get his money regardless, thus it’s a matter of both players coming in with the same mindset and saying, ‘let’s both do this for the club and we’ll have money to spend in other areas’. Second, the Oilers are looking to lock up these two players long-term. Eight-year deals that the Oilers can tuck away give the team the knowledge that they can make moves this summer to build a roster that will do more than losing out in the second round of the postseason. Word initially was that Edmonton would try to finish the McDavid deal first, but now both players are believed to be negotiating with the team simultaneously. Dreger is reporting that the Oilers have offers on the table for Jordan Eberle and that he expects the right-winger to be traded. At this point, none of these offers Chiarelli has deemed acceptable so it’s a matter of getting teams to come closer to the asking price. The Oilers manager is not going to move the player prior to the 2017 NHL Expansion Draft only to lose a piece, nor is he willing to give Eberle away, but the trade is rumored to be more a cap relief type trade than it is not believing Eberle can rebound from a down year. The Islanders are rumored to have interest with a defenseman as a potential return. The Islanders are also in on Matt Duchene, so this is not a lock by any means. Elliotte Friedman was on Sportsnet 960 and discussed Edmonton Oilers unrestricted free agent (UFA) defenseman, Kris Russell. Russell signed a one-year, $3.1 million deal with the Oilers last offseason and he believes the Oilers are going to get another deal done with shot-blocking defender this summer as well. 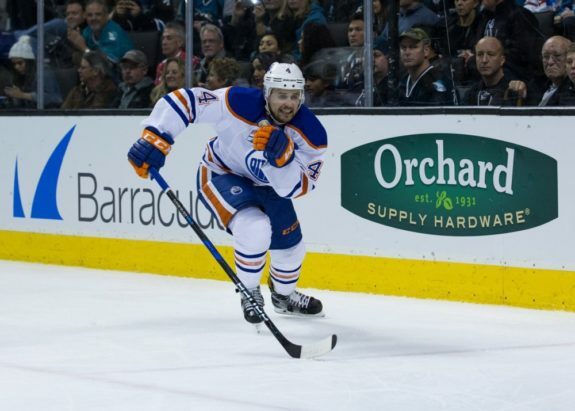 What happens with Eberle may be another piece of the puzzle to any Russell deal. 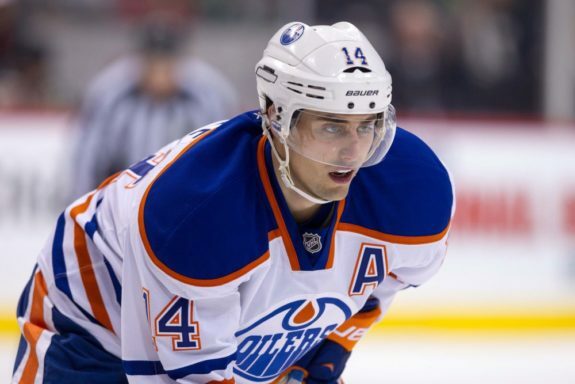 Perhaps the Oilers believe that moving Eberle also makes room to give Russell a bit of a longer deal than one year. The Oilers are a team that will be spending money. But, unlike many teams that will look outside their organization for help, Edmonton is taking care of their own contracts internally. The $6 million cap relief that comes from moving Eberle’s salary gives wiggle room for McDavid and Draisailt and gives them options when it comes to keeping Russell.